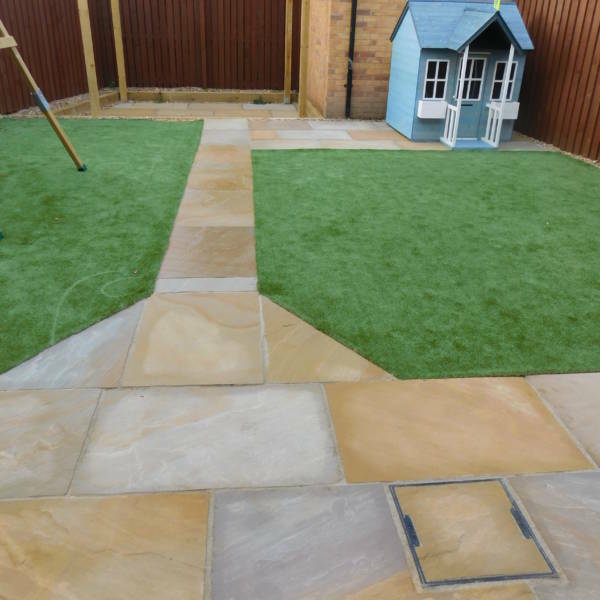 For a really multicoloured paving style, then we have a few options namely, Rippon, Modak and Raveena. 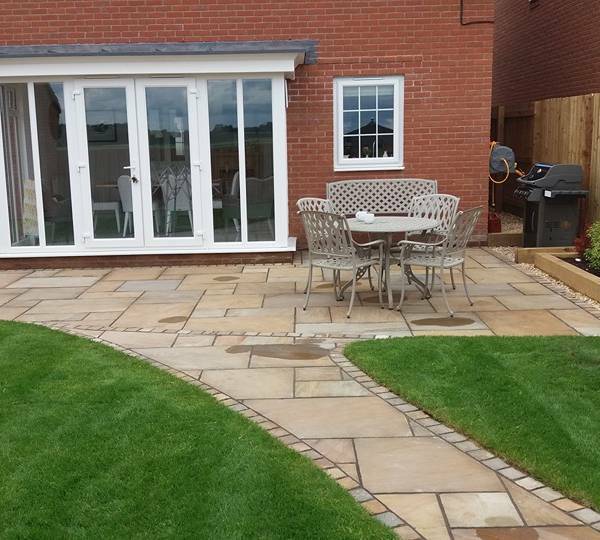 Rippon paving is available in three single sizes. 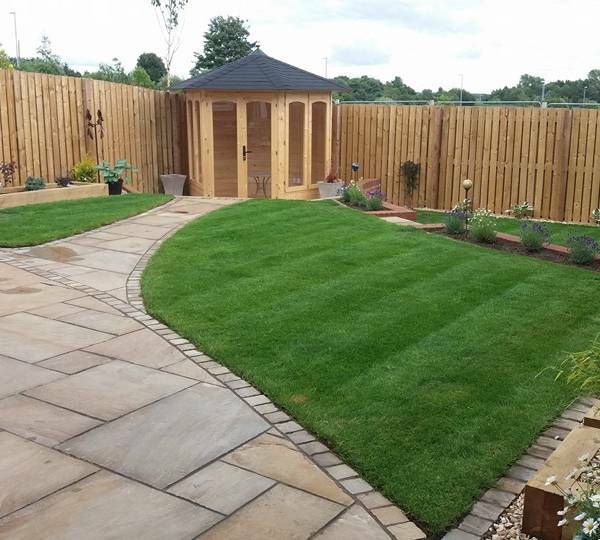 Rippon is also available in circles, which can be used to complement paving or indeed be used on their own to create a feature. 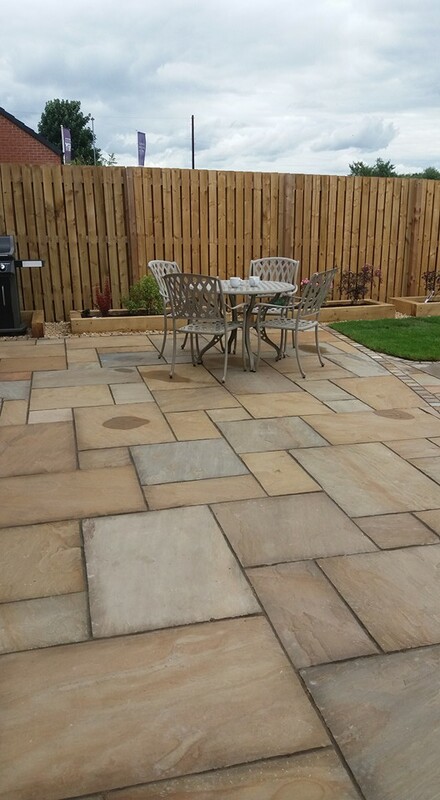 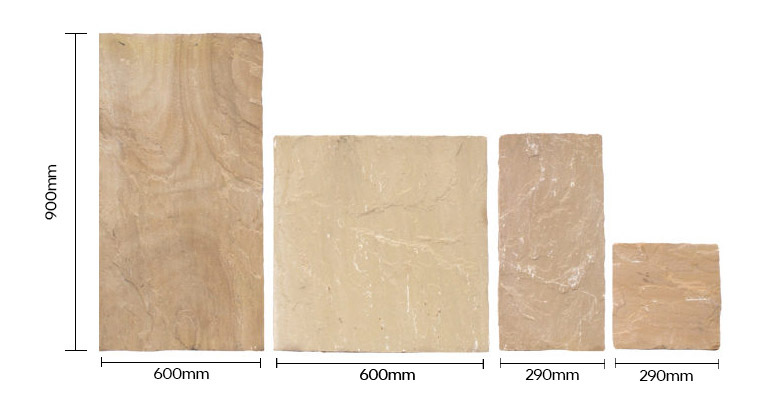 Rippon is a natural sandstone that is quarried in India.